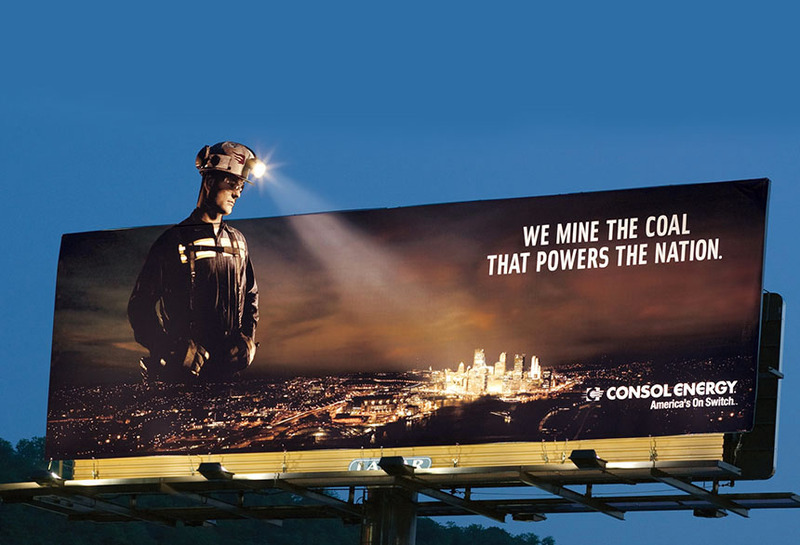 CONSOL Energy used poster extensions and a working headlamp to supplement their already eye-catching bulletin billboard. Lamar worked with CONSOL Energy to create a memorable bulletin with a simple message. This was definitely achieved and grabbed the attention of all the drivers and passengers who travelled along the busy road day and night.